Honey Steak. Those two words make me want to drool. My mother used to make honey steak, a recipe she got from my grandmother. I loved it as a child. Maybe it is nostalgia, but I’m pretty sure it is the best flank steak on the grill recipe ever! 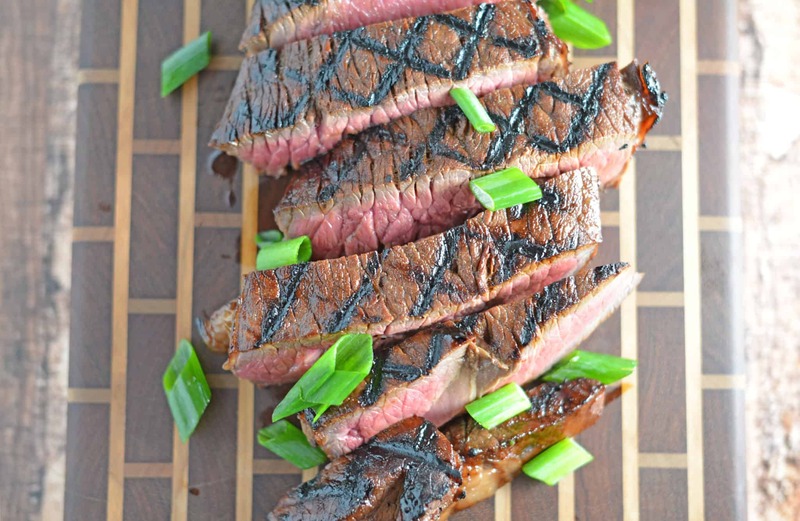 Honey Steak is one of the best beef on the grill recipes using an easy beef marinade. 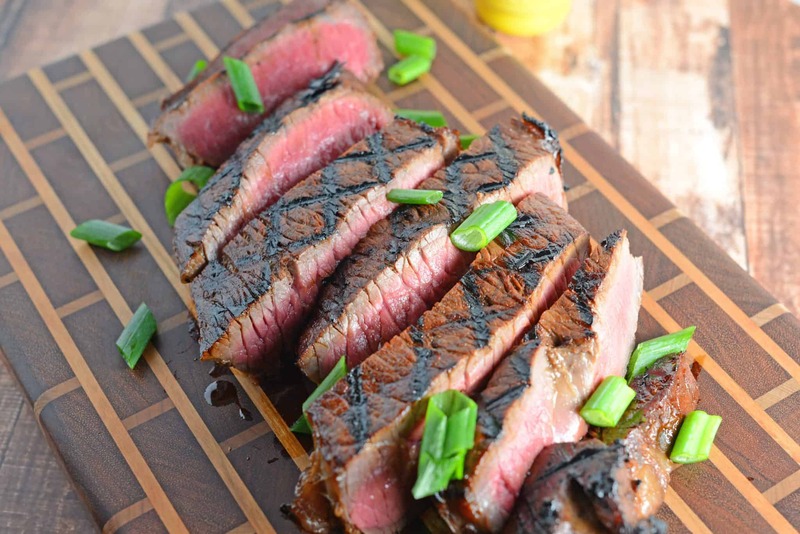 Plus… grilling steak tips! 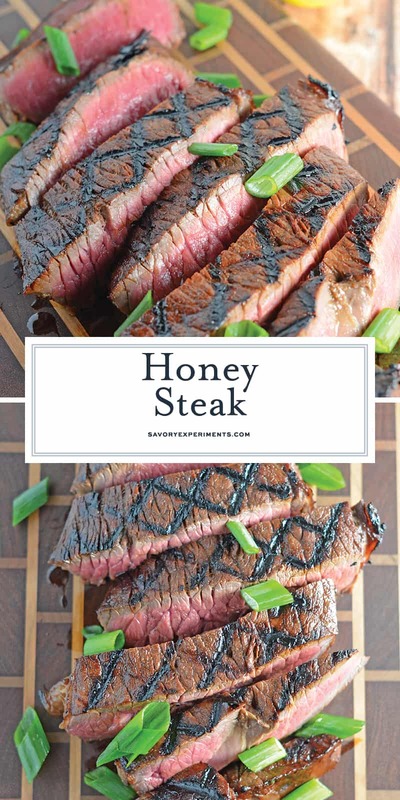 Honey Steak is delicious and super easy which makes it great for a weeknight night dinner or quick meal. The beef marinade is made with a handful of ingredients you probably already have in your pantry. Juicy, sweet beef literally melts in your mouth. 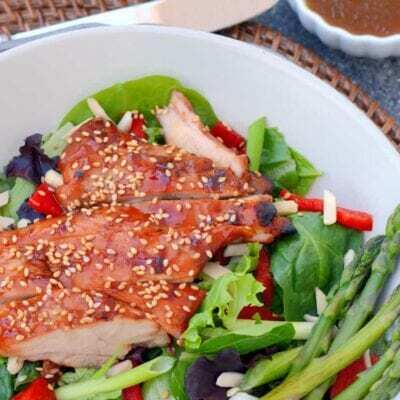 The marinade breaks down fats and fibers in meats helping to tenderize even the chewiest of cuts. A nice char just amplifies the natural flavors of beef and honey. Technically speaking, Honey Steak is a roast not a steak, making that this one cut is meant to feed more than just one person. But since the recipe name was already established, who I am to mess with it? If it’s too cold, raining or you just plain don’t want to mess around with the grill, you can also bake or broil your honey steak. While it loses the BBQ char, the beef marinade still has so much flavor, you won’t be sad. 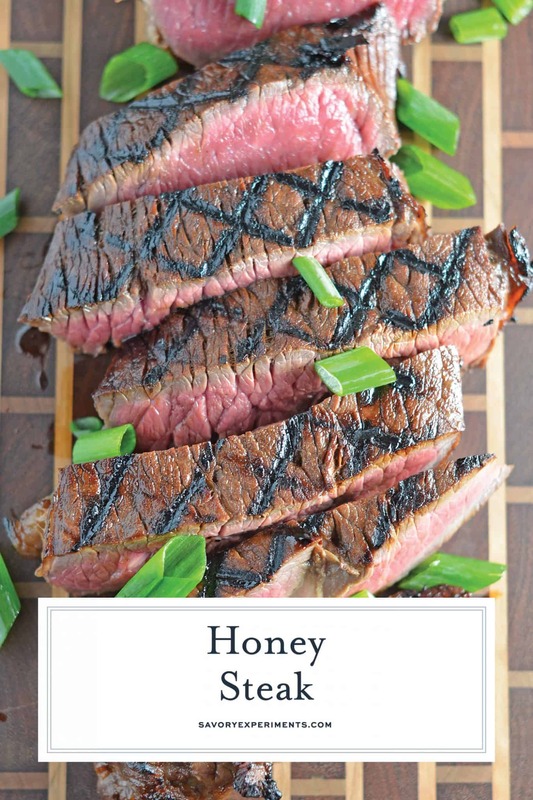 Honey steak can also be used on steak salads, steak tacos, steak sandwiches and more! Before you even get started, pick a good cut of beef. I always go for Certified Angus Beef Brand. They have a 10 point rating system and I know that without having to seriously inspect the meat, I’m getting a quality product. This one is controversial, but take the meat out of the refrigerator to “take the chill off” as hubby would say. Some folks are worried about food poisoning, but let me tell you, it doesn’t happen that fast. You’ll get a more evenly cooked piece of meat if it is all one temperature and not so cold. Use a two zone fire technique. Cook the beef on indirect heat, but then finish on the flames to make lovely grill marks. How do you know if the steak is done? The best way to tell is to poke it with your fingertips. While the steak is still raw, test it with your fingers; it will be quite squishy. That’s what a very rare steak feels like. As the steak cooks the muscles contract and firm. Touch the tip of your nose and that’s what a very well done steak feels like. Here’s a visual guide, the finger test to check the doneness of steak. Beef is best served medium rare. Allow your meat to rest. I know, I know! I get all excited seeing it come off the grill too and I want to dig right in, but you have to let it rest before carving. The fibers relax and juices retain. Beef holds heat well, so don’t worry about a foil tent or it getting cold. Slice against the grain. You may have heard this, but didn’t know why. Well, if you cut against the grain, you are cutting long, stringy fibers making your beef easier to chew. Even the toughest of cuts will feel more tender when cut into slender, against the grain slices. 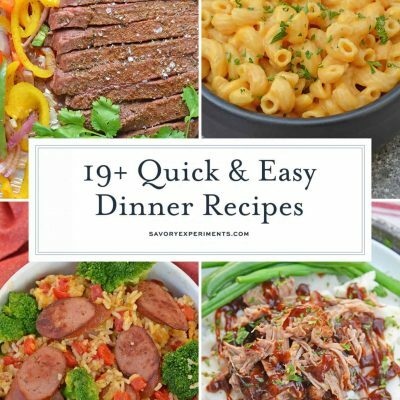 Now that you have the best steak recipe there ever was with my honey steak marinade, here are some delicious BBQ side dishes! 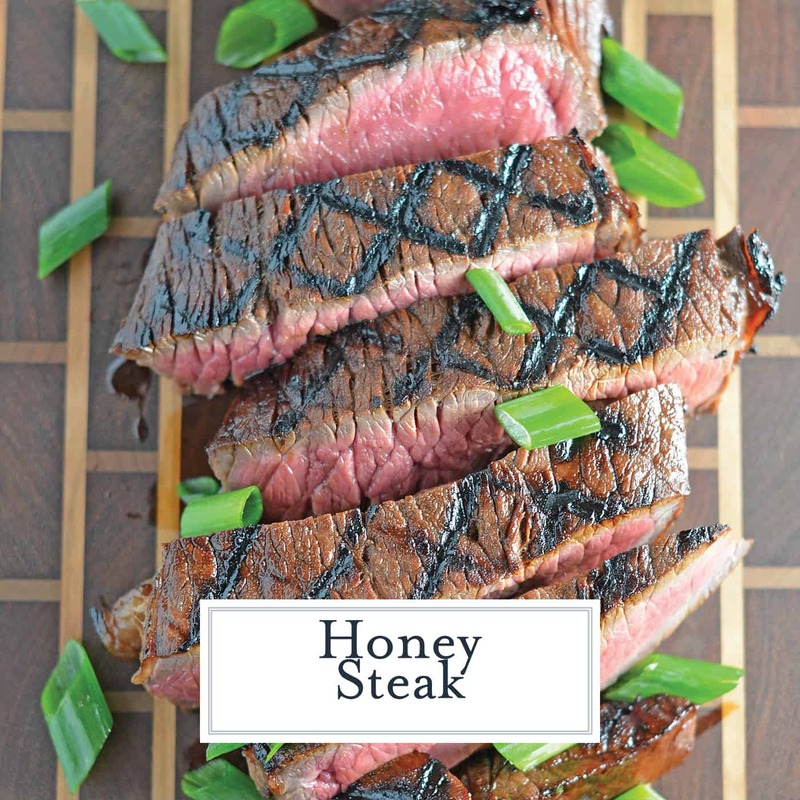 Honey Steak is one of the best beef on the grill recipes using an easy beef marinade. Plus... grilling steak tips! Double bag two large airtight plastic bags. Remove any large pieces of fat from steak and place into the bags. Add the remainder of ingredients and massage into the steak with your fingers until combined. The vinegar will help the honey dissolve. Refrigerate for 4 hours- 24 hours. The longer, the more enhanced the taste. Preheat the grill to a high heat. Place steak on the hot grill. If you are using a gas grill, cover the grill. Grill for 4-6 minutes on each side for medium rare. If you do not have a grill, you can follow the same instructions using the broiler of your oven on the second to top rack. Make sure to keep the door cracked and properly ventilate to not set off your smoke detectors. Remove from heat and allow the meat rest for 5 minutes. Slice against the grain and serve! Enjoy your Honey Steak! Optional: Pour left over marinade into a medium sauce pan and bring to boil. As soon as you see bubbles, reduce to a low simmer for 3-4 minutes. Be careful, the honey will heat up and it will over boil mighty quick, so keep an eye on it. Serve on the side as a dipping sauce or drizzle over sliced steak before plating. You can also pour mixture into a fat separator and skim off the excess oil. Strain out the solids (onions) and return them to the soy mixture. I especially recommend this if you are marinating the steak for a shorter amount of time. 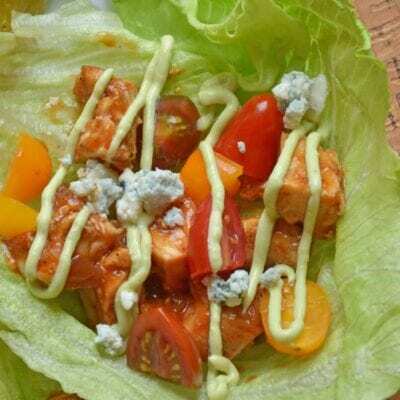 This recipe was fantastic. I marinated it overnight and the flavors were just perfect. Everyone loved it. Honey Steak has long been a favorite at our house. Even before we had children, it was often our Sunday go to meal for two. (The leftovers make great sliders.) Now the kids love it too! Dress it up with baked potatoes and salad, or down with chips, baked beans and potato salad. 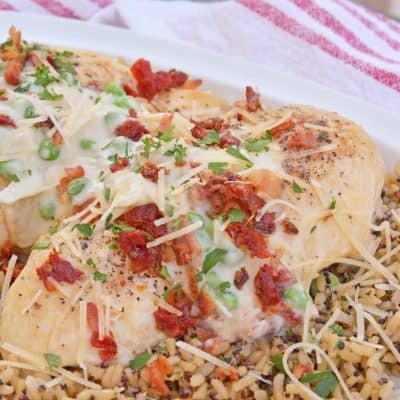 You, your family and your guests will love this recipe! I’m glad you love it just as much as we do! 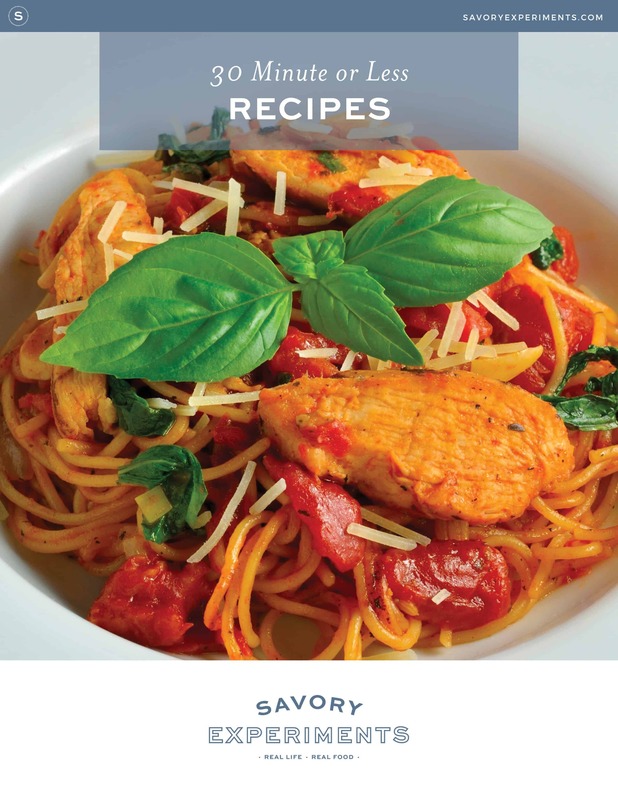 It is a fabulous recipe!